This shamrock scarf is a cotton and rayon blend that measures 18" wide x 70" long. 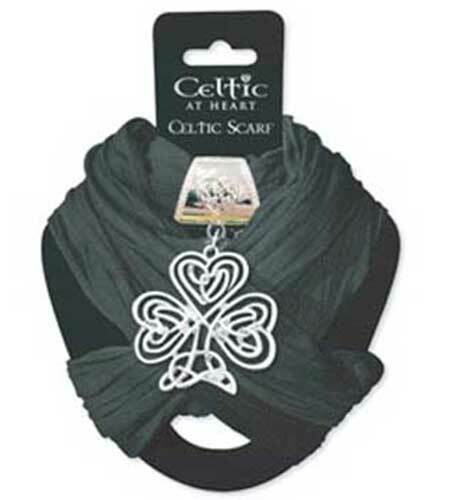 The black Irish scarf is jeweled with a silver tone metal shamrock charm that measures 2 3/4" wide x 4" tall, including the bail. Both the shamrock and the silver tone metal bail are enhanced with a Celtic knot motif.